It all started when our boss Pasquale introduced us to the Cloudera Services Enablement Bootcamp in December of last year: a 1 week, hands on and intensive „Services Enablement Boot Camp“ which Cloudera has developed for their partners. “This Boot Camp provides many of the ‘best practices’ one would normally learn only through several shadowing experiences (and lots of trial and error)” was how the project was advertised on their website. My first impression of the Bootcamp was that it would be an exciting experience. The prospect of a three-hour challenge at the end was also tantalizing. As a company, we have a lot of customers from Cloudera. Therefore, I realized the importance of this Bootcamp. I had worked with Cloudera alongside my previous two customers; hence I was aware of the important chance to enhance our technical competencies to better serve our customers. This Bootcamp provided the perfect opportunity to do so. Not to mention the prospect of going to Amsterdam and getting a chance to spend a weekend there was also a nice motivation! 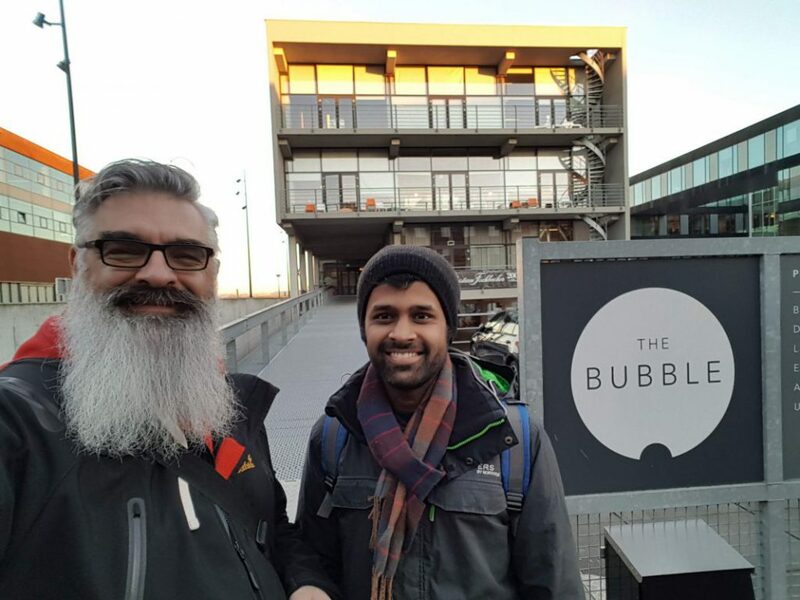 Earlier this year in February, a senior colleague and I attended the Cloudera Bootcamp in Amsterdam. The Bootcamp was scheduled on the second week of February from Monday to Friday. We gathered some first-hand experience from colleagues who had attended this Bootcamp before. They told us that it’s going to be a pretty rough ride for the five days. Therefore, apart from the excitement, there was also some nervous energy when heading into the Bootcamp. I could imagine what it would entail for us after hearing their stories of warning. We flew to Amsterdam on Sunday. I did some preparation beforehand, such as arranging proper tools to work with the AWS instances. Our trainer, Rafael, was a nice guy. He was not rushing us too much on the first day. He allowed us to take our time, and to get into the groove of the Bootcamp. Our first task was to spin up the AWS instances, and install CDH 5.15 via the MySQL server. The task consisted of various subtasks such as installing java, SQL, Cloudera manager server, and Cloudera distributed Hadoop. I could not figure it out on the first go. I was initially stuck due to low memory in my root volume. Therefore, I had to resize my root volume and repeat the steps to install CDH 5.15. In the next few days, we had lab exercises which included generating big files in the HDFS, performing map-reduce operations to transfer the data to a different cluster, changing the parameters and viewing the map reduce operation’s efficiency, changing the YARN memory allocation, allocating static service pools, etc.. One of the most interesting aspects of our exercises was to install Kerberos and secure the cluster by ‘kerberizing’ it. This task was quite challenging, It involved setting up a KDC server, and required the complex configuration of the server and the client. There were a lot of hiccups due to missing configurations. We were sometimes working as a team trying to figure out each other’s errors so as to progress faster. The process was a good learning experience. After working intensely for four days on different aspects of Cloudera clusters, we had a 3-hour challenge awaiting us. The last day was the challenge, which required us to implement everything from scratch. It was time to put everything together that we had learned over the last four days. I thoroughly enjoyed the challenge. The fact that we ended up passing the Bootcamp with very good feedback gave us a lot of confidence. Overall it was a very satisfying experience and I was looking forward to a fun weekend in Amsterdam.